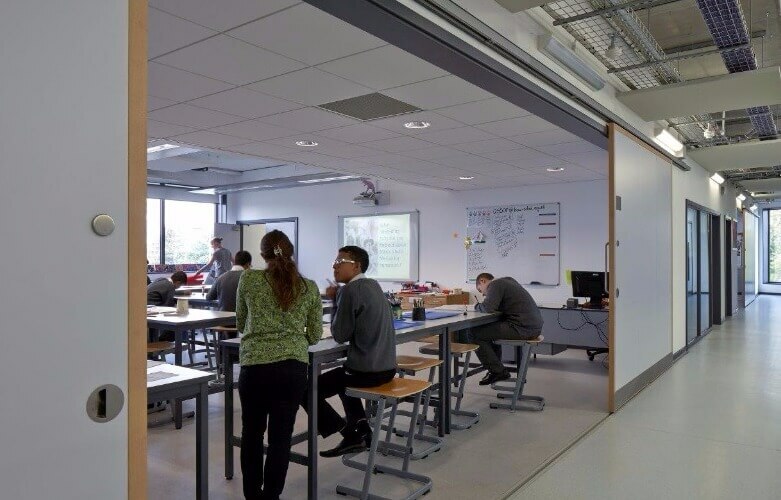 Glazed screens can help promote an open study environment and let natural light flow into corridors and classrooms. 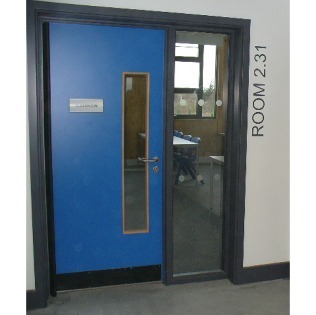 Glazed screens can also be incorporated into the doorset, ideal for classrooms. 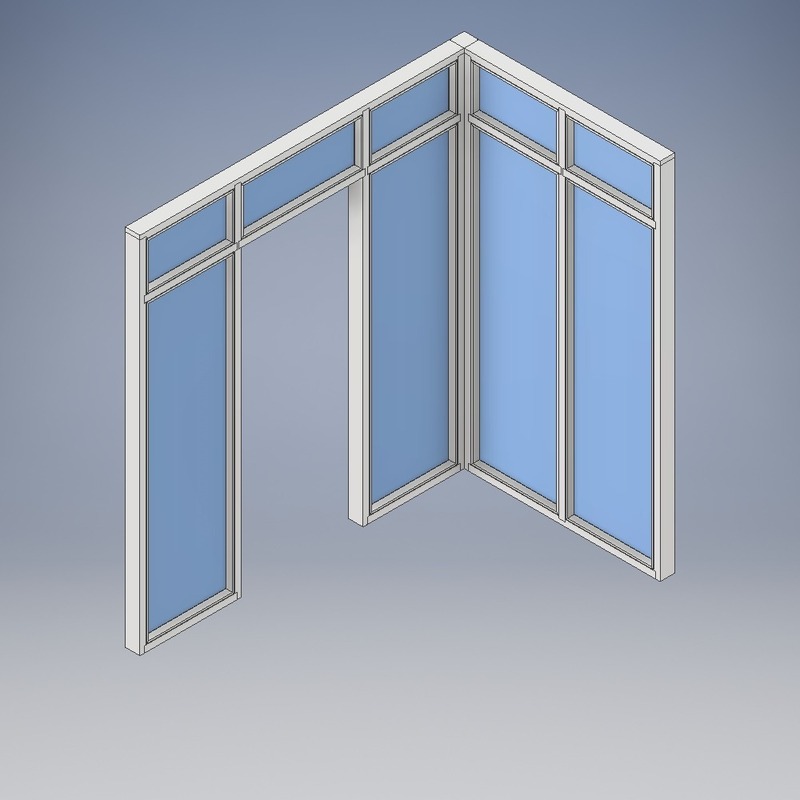 A clean, minimal look can be achieved on non-fire rated screens by removing the mullions. 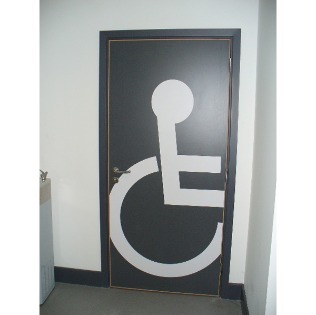 A feature has been made of the toilet signage on these doorsets. 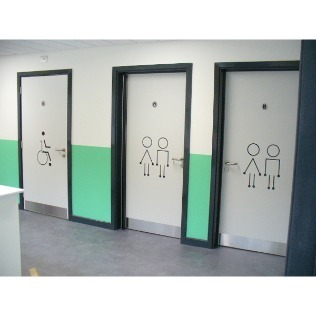 We can manufacture laminate doorsets such as these by CNC machining the laminate sheets to your own designs. 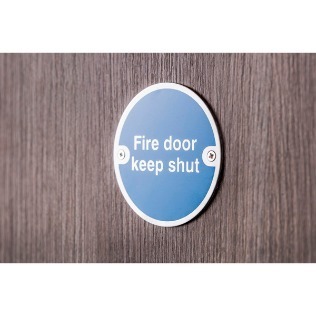 Laminate doorsets can also be manufactured with the laminate incorporating images to your own design. 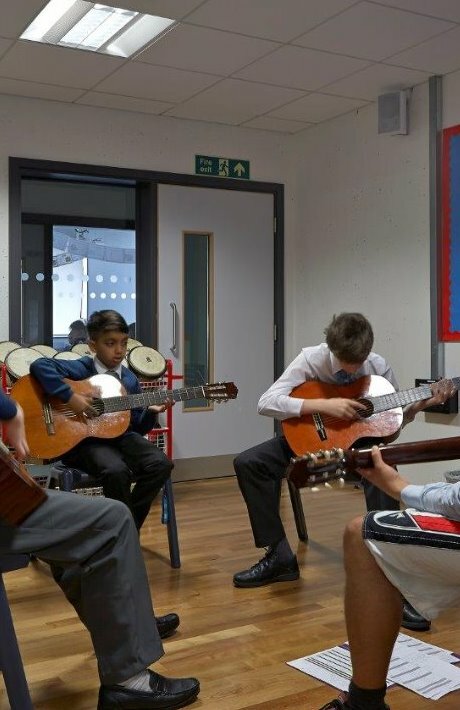 We offer a range of doorsets to meet the requirements of Sport England and the requirements of other national sporting bodies. 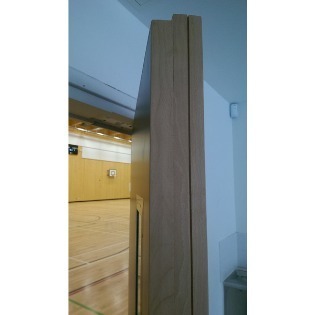 These doorsets provide a completely flush face on the sports hall side of the door. 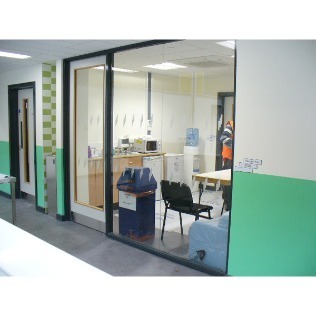 These glazed FD90 doorsets provided a link between a new extension and the original building. 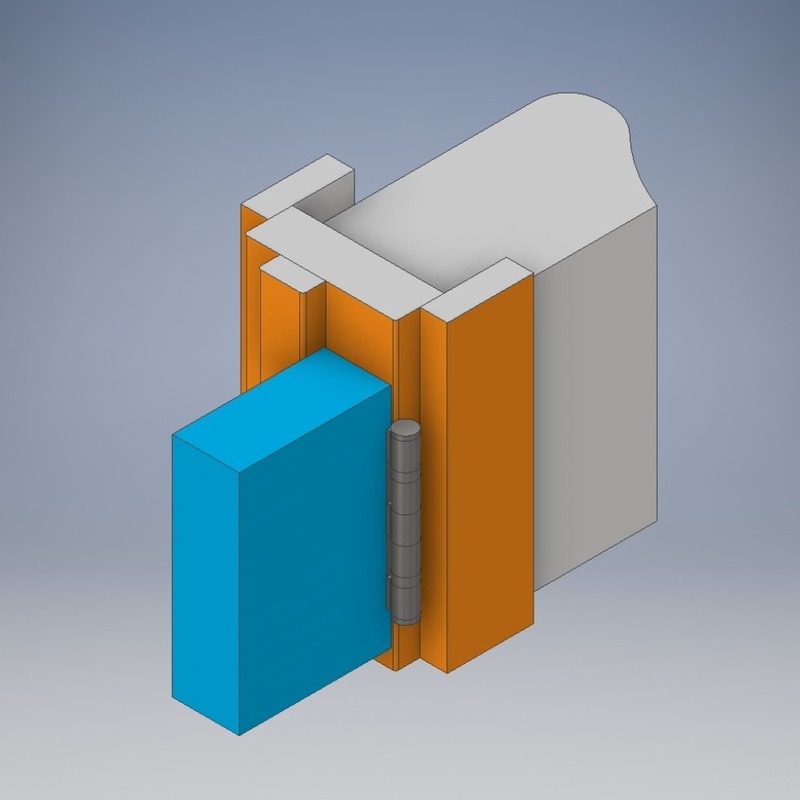 These FD60 doorsets are held back within pockets on electro-magnetic hold open devices that are automatically released in the event of a fire. 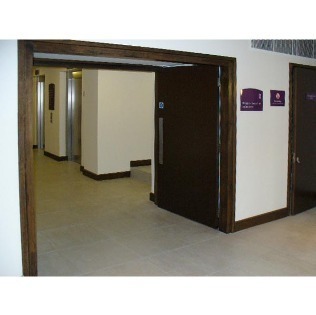 This provides open corridors to ease movement through the building. 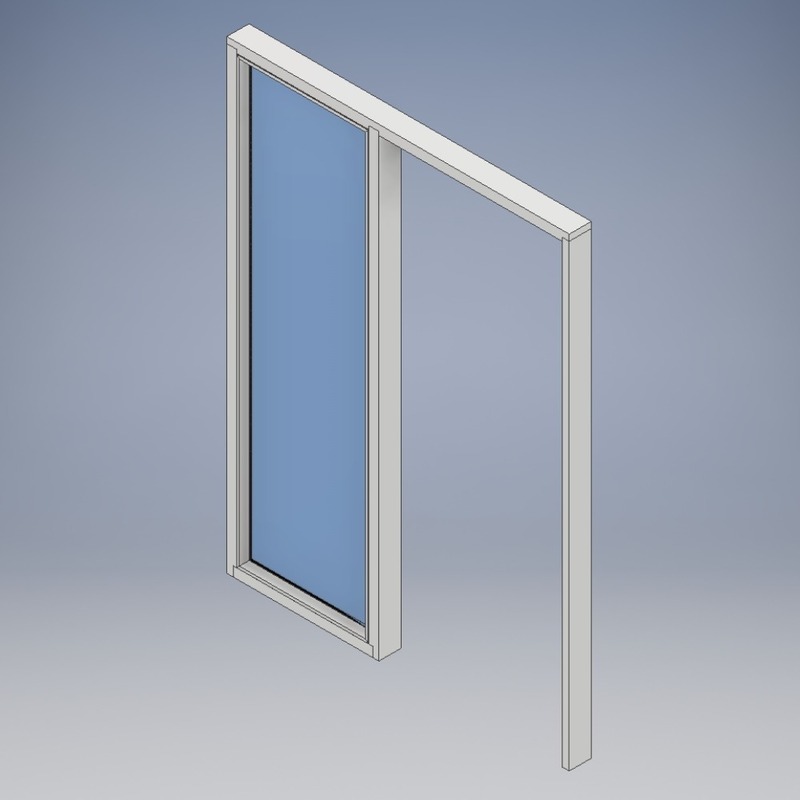 Our glazed screens can also be fitted with integral blinds with controls for tilting the blinds. 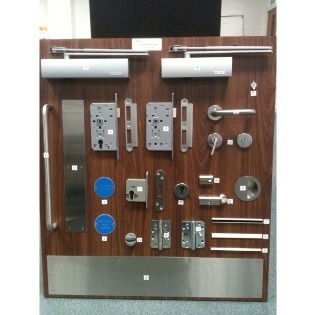 As with all of our doorsets we can supply, machine and factory fit the majority of the ironmongery to the doorset. 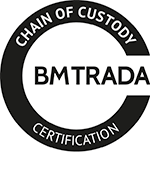 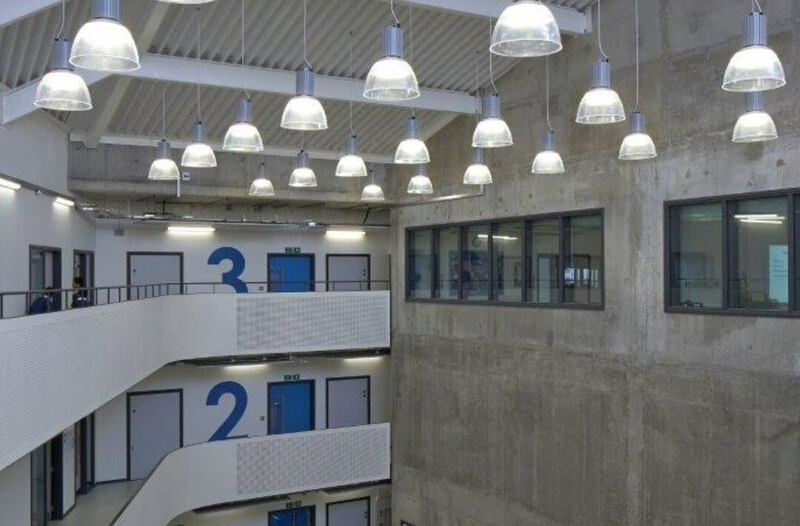 This has saved our customers a significant amount of money when compared to the cost of machining and fitting ironmongery on-site, with the additional benefit of reduced installation times and a reduction in site losses. 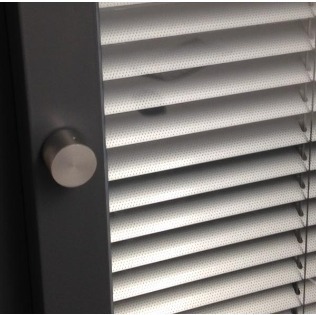 On larger projects we can supply ironmongery sample boards for client approval. 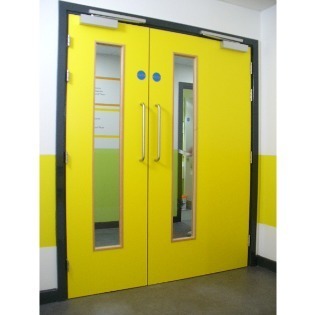 The supply of doorsets into the education sector requires a broad product range and a high level of technical expertise. 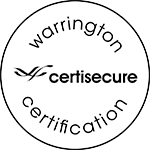 Doorpac have successfully supplied into this sector for many years, with projects supported by our experienced Contract Managers. 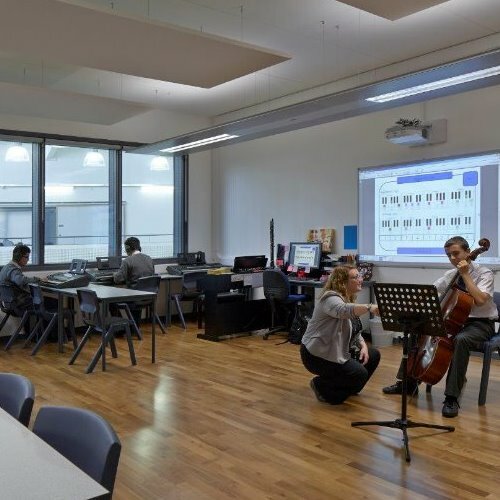 Flexible designs to create flexible spaces. 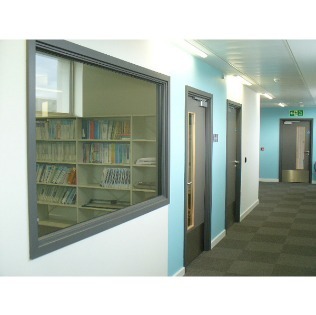 Integrated doorsets with side screens are ideal for the office or educational environment.